Subsequent to the very recent release of CONNY OCHS’ third solo LP, Future Fables, an official video for the iconic German artist’s superb single “Killer” has been issued this week. The new video becomes part of the public domain through a premiere at Exlcaim Magazine. Directed by Pietro Bondi, inspired by a concept by Bondi and CONNY OCHS, the video shows the singer/songwriter delivering his distinctive works in a stark black and white delivery, with the added touch of Bondi’s talented artistic eye with the aid of some paint and projectors, the simple concepts all simply adding up into a captivating final product. View CONNY OCHS’ “Killer” video now through Exclaim Magazine at THIS LOCATION. Future Fables is available on CD and LP in the US via Earsplit Distro HERE, and internationally through Exile On Mainstream, on CD HERE, LP HERE, and digitally HERE. Also stream Future Fables in its entirety through The Sleeping Shaman RIGHT HERE. 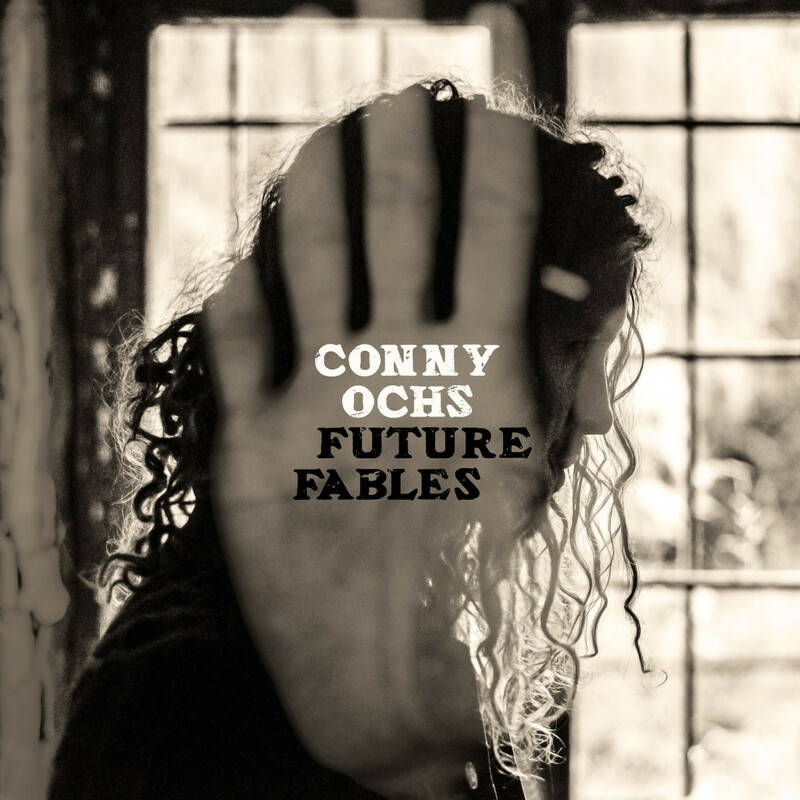 Boasting a singular, stunning, heartfelt style of melodic folk/rock, and one of the most striking voices in either genre, CONNY OCHS shows exemplary growth in his delivery with Future Fables, which undoubtedly results in some of the man’s finest and most communicable songwriting yet. Recorded as always in full analog with producer/engineer/studio owner Thommy Krawallo, at the new rural location of his Kabumm Studio in Brandenburg, the remote surroundings helped create an aura of warmth in Future Fables, with an uplifting feeling replacing some of the melancholy of earlier albums. OCHS also widely expanded upon his instrumental repertoire, here incorporating drums, piano, bass, and organ, of course in addition to his wide use of acoustic and electric guitars, and that unmistakable voice. CONNY OCHS will continue touring throughout the coming months, with new live dates to be announced shortly.